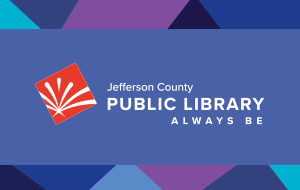 The Library Board may call for an Executive Session to discuss issues that may compromise the legitimate privacy interests of a public officer, appointee or employee, or compromise the attorney client privilege. During an executive session, only individuals whose presence is reasonably necessary in order for the public body to carry out its executive session responsibilities may attend. Final votes or decisions to take legal action can only occur after reconvening in an open meeting. The discussions and actions of the Executive Session will be recorded pursuant to CRS 24-6- 402(4). Executive session must be called at a posted public meeting. An example would be: “Move to call an Executive Session to discuss the Performance Appraisal of the Executive Director, pursuant to CRS 24-6-402(4)(f), Personnel Matters.” When a second is received, it is discussed and voted on. The motion and vote will be recorded in the session minutes. The public meeting is closed. The executive session is called to order when required individuals are present. The Chair announces that the session will be recorded. Recording begins as the session is called to order with the date and time. The Chair indicates that a majority vote authorized the session, its purpose, the citation for executive session CRS 24-6-402(4) and those persons in attendance. Recording must continue until after adjournment is called. When the business of the executive session is complete, the Chair announces that the executive session is over and the recording equipment is turned off. If the public meeting is to resume, the Chair announces that the public meeting is reopened. The recording is kept for 90 days, and can only be made available to the public upon consent of the Library Board or a court order. Any Library Board member that wishes to use the recording can do so upon application to the Chair.